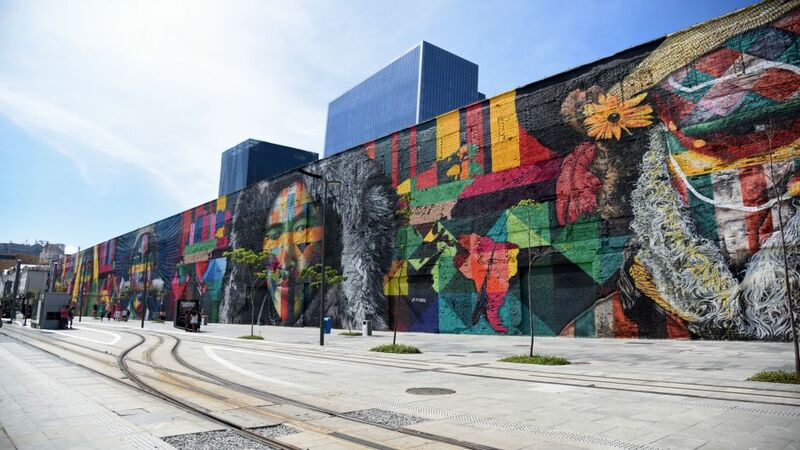 Walk through the downtown area of Rio to learn more about the history of Brazil and the post-Olympic legacy of the city. 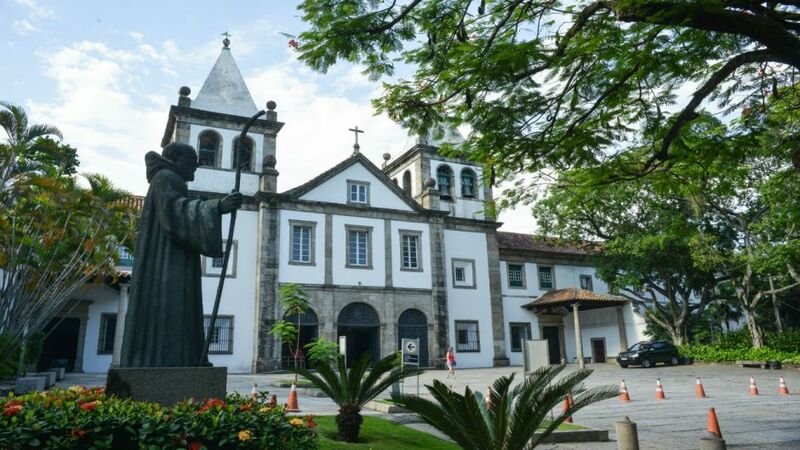 Visit the Valongo dock, the Olympic Boulevard (new port area) with the Kobra Mural and the Tomorrow Museum, the San Benito Monastery, the Olympic Cauldron, Praça XV and the Confeitaria Colombo. We will begin your tour at your hotel to discover the many hidden gems in the downtown area of Rio with a local guide. 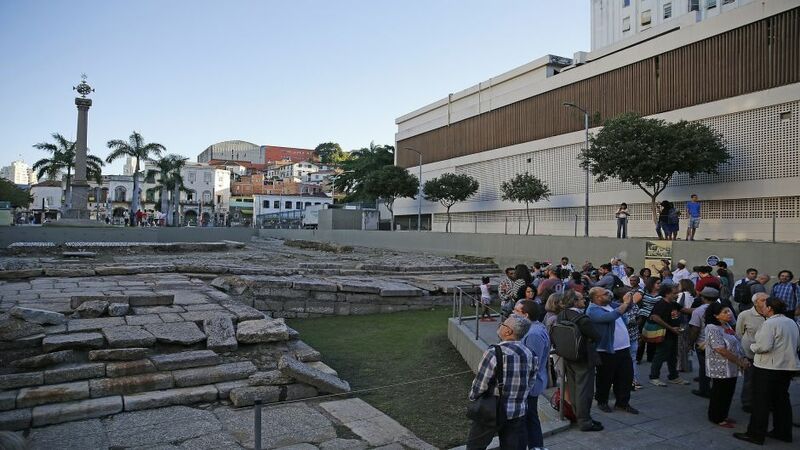 The excursion begins at the Valongo dock, the last site declared a World Heritage Site by Unesco in the city, and learn more about the African influence in Brazil. 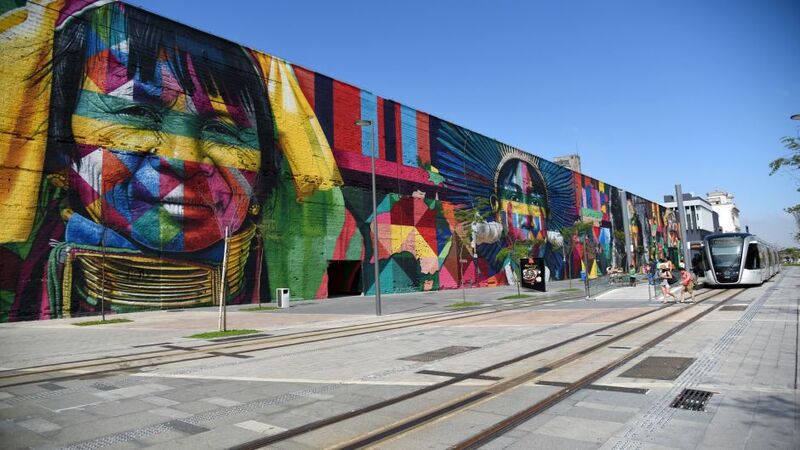 Then we will go to the Kobra Mural, one of the largest graffiti walls in the world, created by the Brazilian artist Eduardo Kobra, to admire the five ethnic groups represented in a colorful geometric background. 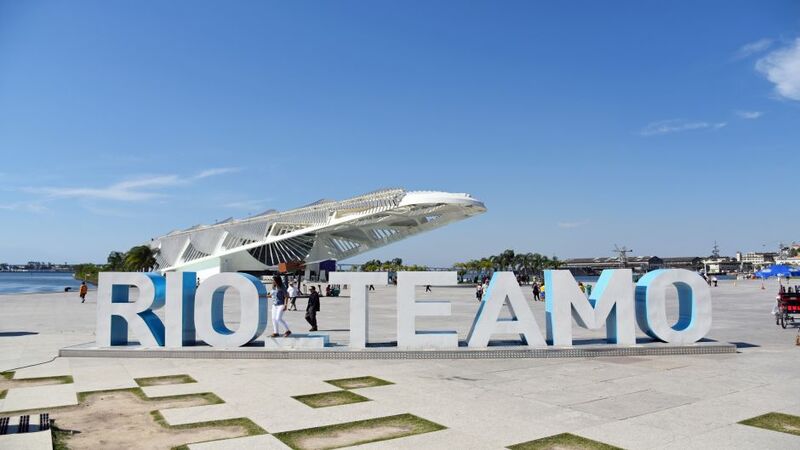 After some photos, we will walk along the Olympic Boulevard towards the Museum of Tomorrow, a museum of modern and technological science dedicated to explore and question all the possibilities to build the future of the planet and of humanity, and its remarkable architecture. 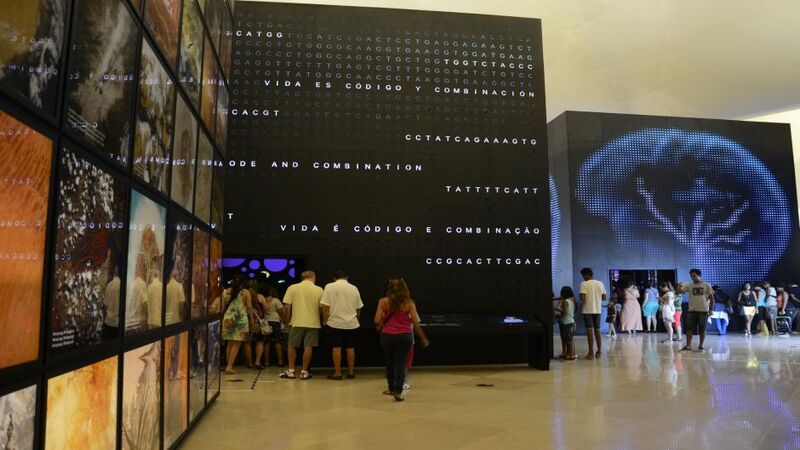 We will enter the Museum del Mañana which is the most visited museum in Brazil. 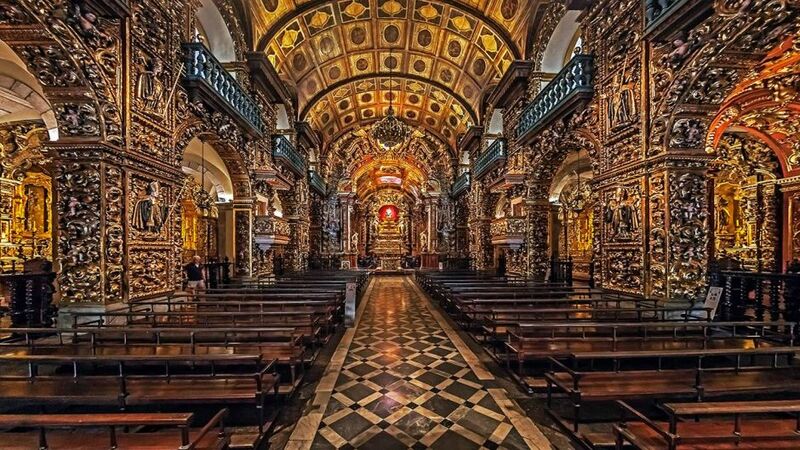 After exploring the future, travel to the past in the Monastery of San Benito, where you will experience the contrast of the simple facade with the interior covered with golden ornaments, a heritage of the Baroque period. Before heading to the historic streets of Rio, you will see the Rio 2016 Olympic stadium created by the American artist Anthony Howe. You will notice the structure of the kinetic-reflective sphere as a reminder of the Games. 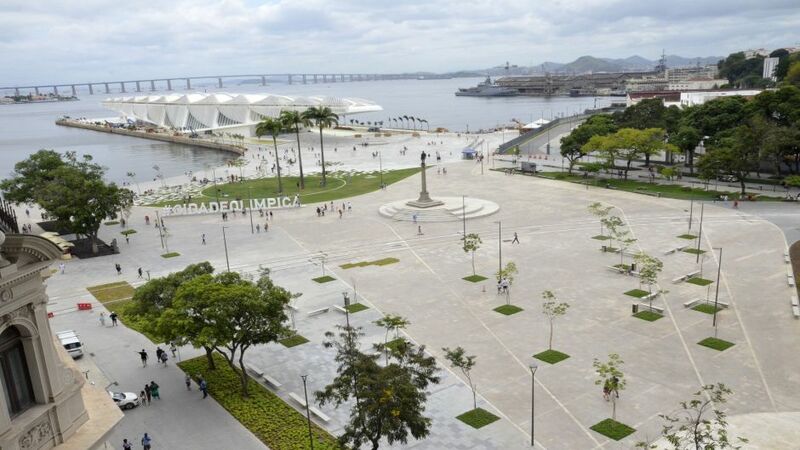 In Plaza XV, we can see one of the old headquarters of the Brazilian Empire and learn more about the important events in Brazilian history that occurred in the area. Your last stop will be at Confeitaria Colombo, a permanent member of all the classifications of "coffees that must be seen" around the world. Enjoy the opulent art nouveau decorated with huge stained glass, tiles and mirrors imported from France, Portugal and Belgium. Start location: Tours from Tuesday to Sunday leaving from Hotels in the South Zone (Copacabana, Leme, Ipanema, and Leblon). We do not pickup in Hostels or B&B.